a century of medical revolution, using asthma as an example of a disease with increasing global impact. From bronchodilators to biologics, he will trace the breakthrough developments in research and treatment. in asthma, renowned clinician scientist, and prolific author, with over 450 peer-reviewed papers in top medical journals and numerous book chapters. 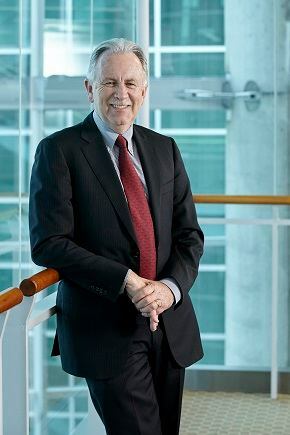 He is the Dean and Vice-President of the Faculty of Health Sciences and Distinguished Professor at McMaster University (Hamilton, Canada), the birthplace of evidence-based medicine. Following the lecture, Professor O’Byrne will take questions from the audience. Dinner will be served after the event. All MIRCIM participants are invited to attend for free, but prior registration is required. Reserve your seat by emailing [email protected] and join us on Saturday! Invitation for MIRCIM 2019 It is with great pleasure that we invite you to attend the 5th McMaster International Review Course in Internal Medicine (MIRCIM), which will take place in the beautiful historic city of Kraków, Poland, on May 9–11, 2019.